Well it’s been at least a couple of weeks since I last wrote about Grenson on here, so it’s about time for some news from one of my favourite brands, I reckon. 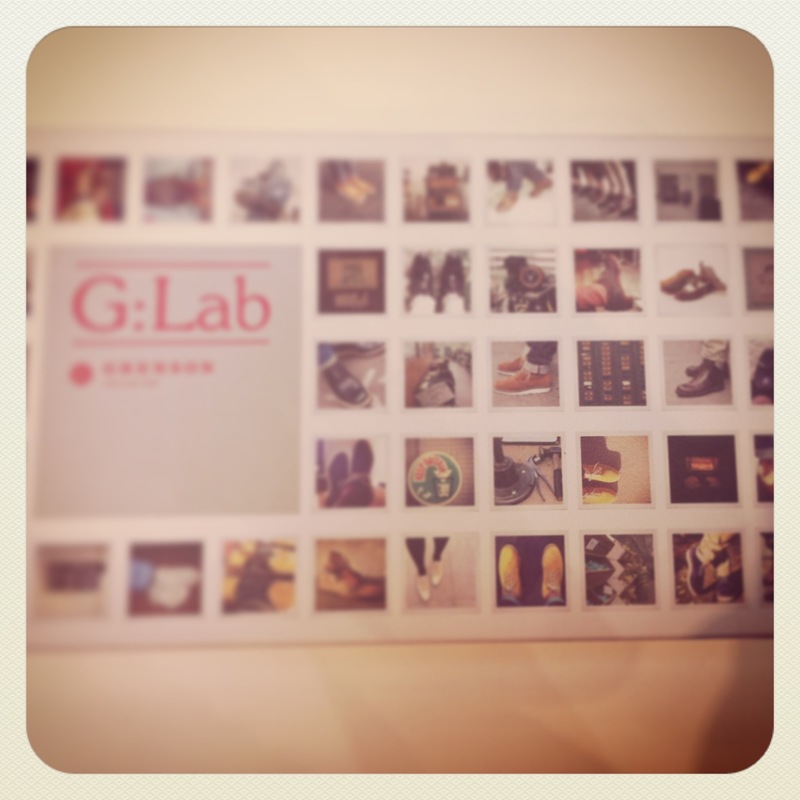 Today saw the launch of the G-Lab pop-up shop in Liberty and I went along to take a look. 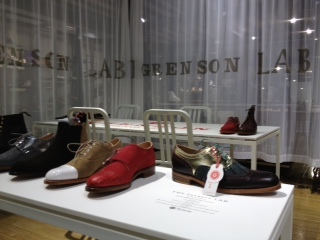 G-Lab is the customisation branch of Grenson, which is in the department store until April 28th (that’s not long, so hurry!). You can choose from loads of different styles and colours to make a pair of shoes that you can say you designed yourself. the G-Lab store assistants even wear lab coats! Brilliant. I wouldn’t know where to start! There are swatches with all sorts of leather available, from gunmetal metallic, to chunky, thick, masculine leather, to bold, bright colours. You can also choose your sole, and regular readers of this blog will know I did at least know that I would have gone for the crepe sole had I been designing a pair for myself! A nice touch is that you can personalise them too, with a message in the lining of shoe. A brilliant idea if you were buying a pair as a gift for someone. Or if you want to stamp your own name on your precious Grensons! Prices range from £350-£400 and the shoes take around 6 weeks to make. 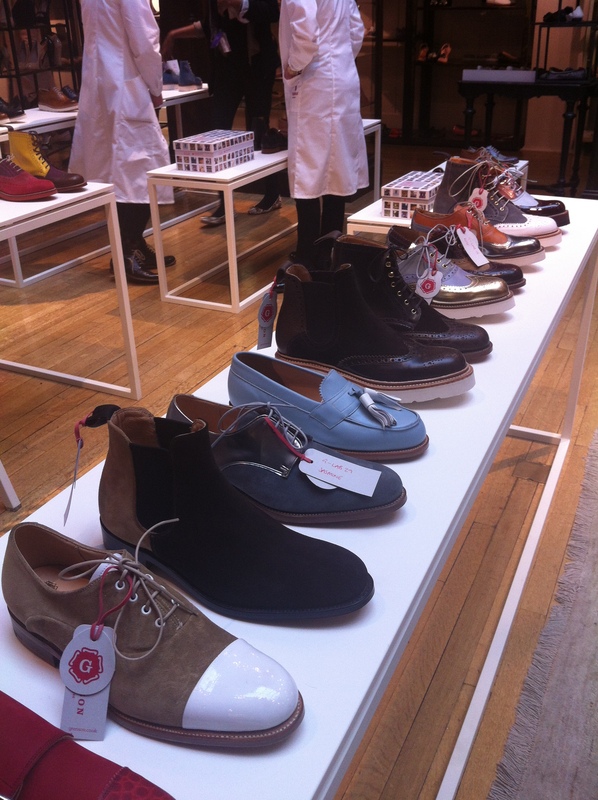 Grenson’s regular line of shoes, starting from £180, are also available in the pop-up shop. 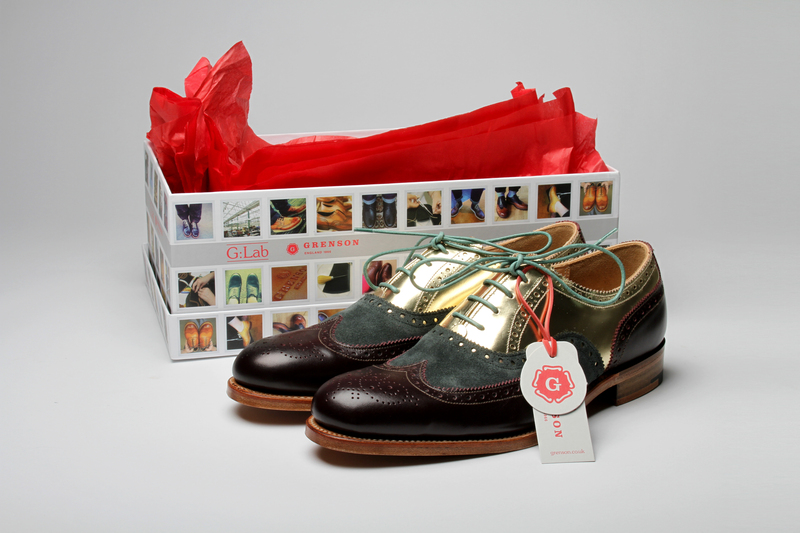 G-Lab shoe box featuring EnBrogue! It would be too difficult to decide – with all the colours and finishes and everything. I would be the one going “err do you have a plain pair please?”. I have to say, I’m rather liking those lovely blue loafers with the tassels though (as they are). Yes they caught my eye too!